The National Playwriting Program of the Kennedy Center American College Theatre Festival offers a number of awards for plays submitted in the 10-minute, one-act and full length category. Region 8 has added a maximum 4-minute original monologue category. While monologues may be comedic, they are not intended to be “stand-up routines,” but rather true dramatic monologues with beginning, middle, and end. Only students are eligible. We are offering The Planet Earth Award for a 10-minute play that addresses sustainability and our responsibility to the planet. Region 8 sponsors both a 10-minute and a one act-play competition at our regional festival (all one-acts are defined as “John Cauble” plays and are considered for the “John Cauble Award”). Six 10-minute plays and three one-act plays are selected through an exchange process with another region of the country. All plays are read “blind” (without the author’s name or school affiliation) to avoid bias in the selection process. The six 10-minute plays and three one-acts selected will be presented as staged readings at the regional festival. A 10-Minute play is ten pages or less not including title page. All student written 10-Minute play submissions are considered for the Gary Garrison 10-Minute Play Award. Six of the submitted plays will be invited to the regional festival and presented in a concert reading. Two of the six plays will be sent forward to the national office for consideration at the national level. A one-act play is longer that 10 pages and runs less than one hour. A group of qualified respondents will select 2 of the 10-minute plays and 2 of the one-acts as national semi-finalists. Those plays will be considered for invitation to the national festival in Washington DC. in the spring. The plays will be judged as written work, not based on the presentations at festival. To strive to create links with individual artists and institutions in the professional sphere and to provide opportunities for the production of student work. To advocate for theatrical text and to preserve the integrity of the playwright’s intent within all stages of the collaborative process. We cannot cut or change lines, alter the structure of the play, or essential stage directions without permission. Playwrights, agents and theatrical publishing companies are approachable and willing to work with us to obtain that permission. We should start that negotiation well before rehearsals begin. Plays are accepted in the following categories. A play more than 10 pages in length with a running time less than one hour. NPP Region 8 is now using Submittable.com. Clicking the link below will take you to our private submission page. You will be asked to set up a username and password. (There is no charge for this.) All scripts must be submitted blind: No Author or School Affiliation on document. Scripts are accepted in .pdf, .doc and .docx format only. When you are ready click the link below to set up your username and password. Then scroll to select your play category and submit. To be eligible for the participation in the regional festival and/or any of the awards, a playwright must be a student at a university or college within Region VIII. Additionally, an undergraduate student must carry a minimum of 6 semester hours (or equivalent quarter hours); a graduate student must carry 3 semester hours (or equivalent quarter hours). Undergraduate, graduate, and continuing part-time student playwrights must be matriculating, degree-seeking students. Students pursuing degrees on-line are also eligible provided they meet these same enrollment guidelines. 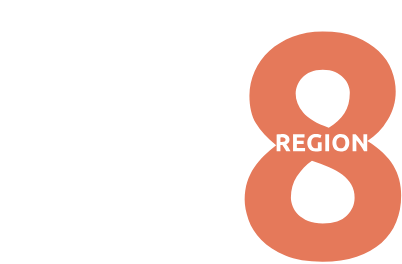 Region VIII of the Kennedy Center American College Theater Festival National Playwriting Program sponsors a series of 10-Minute, one-act, and full length plays each year. At our regional festival we invite the top six 10-minute plays and the top 3 one-acts submitted throughout the year to be presented at our regional festival. Two of the six ten minute plays and two of the three one-acts will be selected as National Semi-Finalists and forwarded for consideration by the National Festival. If chosen those playwrights will be invited to attend the National Festival in Washington DC, traditionally in April. There are a series of awards that a play can be considered for. Each award has slightly different requirements in terms of eligibility and deadlines for submission. Most are for student written work though some awards are open to faculty and working playwrights. Working Playwrights are eligible ONLY for the David Mark Cohen Award and the Hip Hop Theater Creator Award. For descriptions on each award, eligibility and submission deadlines, CLICK HERE.